Situated on the shore of Rio de la Plata, Buenos Aires, the capital of Argentina, is a Latin American city, with most of its inhabitants having arrived by boat from Europe. The city has a vibrant cosmopolitan air with a subway system that runs from early morning till late at night. There are also hundreds of bus lines that run around the clock. While there is plenty to do in Buenos Aires, perhaps it’s the renowned Feria de San Telmo that’s a huge tourist attraction. The fair, with about 270 stands, is a truly bustling marketplace in an old neighbourhood of the city, and the exclusives goods for sale ensure you will walk away with plenty of antiques but also other valuable items. Wait till you see the magnificent El Puente de la Mujer, a rotating footbridge which is illuminated at night. It is said that the Puente de la Mujer represents a couple dancing the tango. When in the city it is no time to be watching your diet. Decadent Alfajores or Dulce de Leche sandwich cookies are filled with caramel, rolled in coconut and then eaten for a soft, delicious sensation. With such sweet treats, you’ll be having to buy larger clothes – but it will all have been worth it. It’s not surprising that cosmopolitan Buenos Aires has been dubbed the ‘Paris of South America’ with its modern- and ancient buildings. If you want to escape the throb of the city, nature awaits in the form of beautiful, leafy parks where you can book yourself a park bench and allow the peace to relax and rejuvenate you. 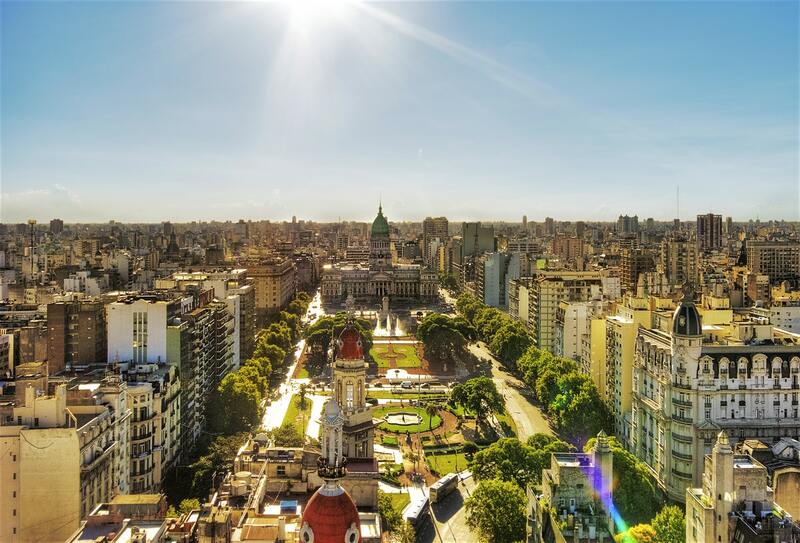 Buenos Aires is a city that won’t disappoint, providing you will all the experiences you want. 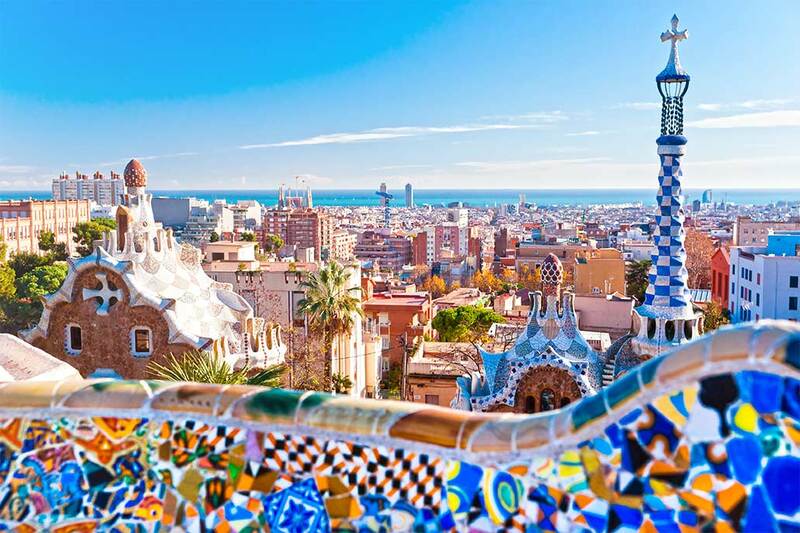 Spain is known for having some of the best vacationing spots in Europe, and the city of Barcelona is one of them. Depending on what it is in particular that intrigues you, there are numerous reasons to visit Barcelona. Whether it’s their culture that excites you, their wonderful cuisine, or simply the surroundings and countryside, here, you’ll get a brief look into some of the must-see areas of this city. Barcelona’s geographical location exposes people to beaches, city life and mountain ranges, all at once. City dwellers can stroll down streets like Las Ramblas and get to see flower stalls, coffee shops, and even La Boquería market, with its authentic local cuisine. You could also embed yourself in Catalan culture with the magnificent architecture such as the Monumento a los Castellers. This is a tower that is one spectacle you shouldn’t miss while in Barcelona. Once you’re done viewing the beautiful Catalan architecture around the city, it’s time for a change of scenery. Barcelona is ideal for both hikers and those looking to pick up a tan, all in one day. You could head for a walk in the mountains in the morning, and end your day at the beach catching some sun. It’s two vacation destinations in one! There’s a lot to see and do while in Barcelona. From hiking to surfing or sunbathing, you’ll be well relaxed during your travels. A big bonus for travellers is Barcelona’s wifi. Not only is it available throughout the city, but it’s also completely free! 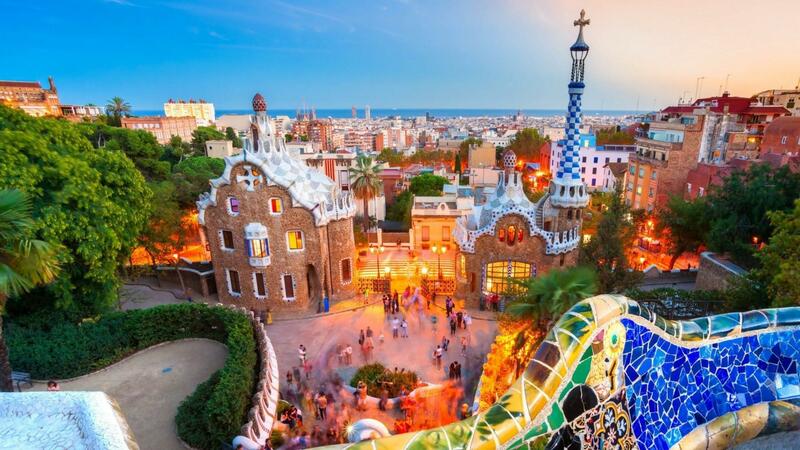 This former Olympic host country also offers beautiful vantage points that overlook the whole city, ideal for getting to see the Barcelona sunset. These include sites like Bunkers del Carmel and the Montjuic hill. Oslo happens to be one of the most prominent cities in Norway. By being the nation’s capital, the city has a booming economy. Thus, you will find a lot of banks, hotels, educational facilities and medical centres in this urban area. That’s not all. There are various shipping and logistics firms also based in the city. Oslo’s population is growing rapidly and is even expected to hit around 800,000 by the year 2040. This is due to an increasing birth rate coupled with longer life expectancy. Moreover, immigration is on the rise. Newcomers started to come into the nation after the discovery of North Sea oil. Tourism has also boosted the city’s population which boasts of world-class museums and restaurants. Visitors are fond of visiting places like Vippetangen for adventure and having drinks with friends. If you like adventure, then Olso should be your next travel destination. You will experience a whole new world when you visit exciting places like Havnepromenaden. Get to see how unique, modern designs blend in with the old architecture. You could also visit Torggata Botaniske. Here, you will find vines and plants growing all over making you feel like you are in a garden instead of a restaurant. Oslo is a must-see travel destination. With its growing population, you are likely to find people from all regions of the world. Restaurants are amazing as they offer meals and ambience similar to no other tourist destination. You will enjoy the beautiful sceneries coupled with modern day architectural marvels. These make the city an intriguing location to walk around. 30 000 islands Islands, over 50 bridges and an extensive Baltic Sea archipelago characterises Stockholm, the Swedish Capital. Other features of this great city include ochre-colored buildings of Gamla Stan, cobblestone streets and a 13th Century Storkyrkan Cathedral. Tourists in the town love the sightseeing boats. You also get to enjoy shuttle passenger buses between one island to another. There are also ferries too. Breathtaking coastal capital with over 30 000 islands! Just a few kilometers away from the beautiful city of Stockholm, over 30,000 islands form an archipelago. From Öregrund in the far North to the Landsort in the south, each of the islands has its own specific character. The features of islands include sandy beaches, wooded islands and rocky cliffs. Be sure not to miss out the floating bar amongst other social amenities on the islands too. If you are looking for a city to visit the next time you are planning for a holiday, Stockholm should be top on your list. You will be amazed by the large number of tourist attractions here. There is a wide variety of traditional Swedish cuisines such as Chives and Sour Cream and Knäckebröd. 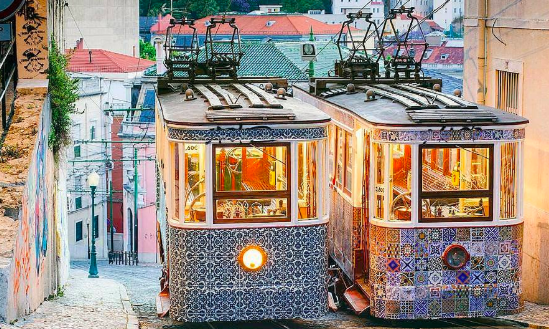 Lisbon is one of the most spectacular cities in the world and is Portugal’s capital. It is classified as the most vibrant and charismatic city in Europe. Here, modernism effortlessly blends with a strong traditional heritage and a friendly round the year weather. This is the perfect place for a holiday if you are planning one. Being an ancient city, Portuguese architecture takes centre stage. Here, buildings are mainly roofed by the famous tiles, locally referred to as Azulejos ( polished stone). If you are a lover of art, then the Lisbon Museum of Art, Architecture and Technology is an ideal place for you. Afterwards, adore ancient Egypt, listen to jazz, feed ducks, see Degas and more at the Gulbenkian, a one-stop cultural oasis within Lisbon city. Take a thrilling train ride to Belém using trams, which are modern electric trains that are efficient and real quick. Be sure to enjoy some surfing in the Atlantic too before your holiday here comes to an end. After a tour of the city, you can dine or drink in Palácio Chiado, Páteo at Bairro Do Avillez, Insolito, Mini Bar, Pensao Amor, and Pavilhão Chinês. Once you get here, be sure to get a travel guide so as to get the best of your holiday. This might come in handy especially if you haven’t been here before. Also, you might need a guide if you are not proficient with the local language. The guide can also ensure that you get the best accommodation services in the city. Spain is a beautiful country and the most amazing destination for tourists in Europe. It has numerous points of interests ranging from the incredible geographical and artistic creatures. Just to narrow down on one very attractive destination, at least everyone will find some reason to visit Barcelona no matter their area of interest. This city is largely diversified and has a really rich heritage. Sagrada Familia church though unfinished, is a major site at the heart of this city. The architectural design can be seen from any corner of the city of Barcelona. Private finances are used to fund the construction which has taken over a century. In the art category, Barcelona has numerous museums that preserve the heritage in different categories and time span. The city also has over sixty parks and a beach that is rated top ten in the world. The city of Barcelona is served by various means of transport and key among them being the Baercelona- El Prat airport. This makes it easy for Europeans and also the Spain citizens to access the city. The city has a sea port, a railway network, roads and highways. Both private and public transport makes the city easily accessible. Barcelona city is a brand and has a fast growing economy that is facilitated by the diversified activities that take place therein. This makes it perfectly suitable for both domestic and foreign investors.The city hosts significant events among them being olympics and summits. All these are opportunities for the business people to exploit and earn an income from. Poland is an attractive tourist destination in Eastern Europe. She is located in the Baltic Sea. She is popular for her monumental architecture and the ancient Jewish heritage. Poland has secured her place in the global tourism market. The visitors turnover has increased over the years. There’s something for everyone. The country is diversified enough to accommodate different races, nationalities interests and preferences. It may be a little bit troubling when it comes to deciding where exactly one want to visit once they are in Poland. We can, however, highlight some of the most memory-sticking places. To the far south of Poland are the boundaries of Tatra National Park.The country’s real mountains are hosted here. The Morskie Oko lake which has a beautiful shimmering surface is also found in this region. Malbork city is also a miss not! The most beautiful medieval relics in the whole of Europe are found in this city. For historians, this city is with no doubt the most fascinating destination for them. The opportunities for amazing photos in this city are endless. From the opposite banks of the Nogat river is the eye-catching red-brick fortress. There is a lot in Poland, it may take us a lifetime to explore the goodness in this land. The geography is also breathtaking. From the mountains to the lakes and the woodland forests. There are also very lively beaches available. 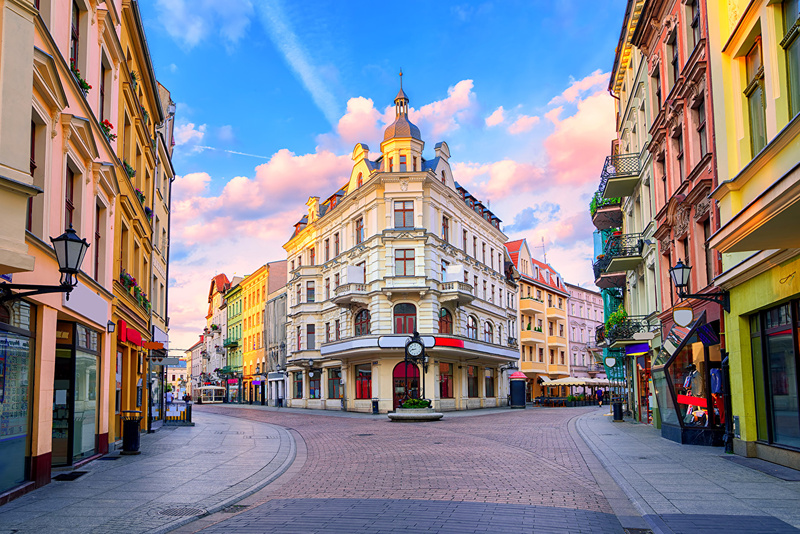 A visit to Poland will definitely leave you yearning for many more visits. 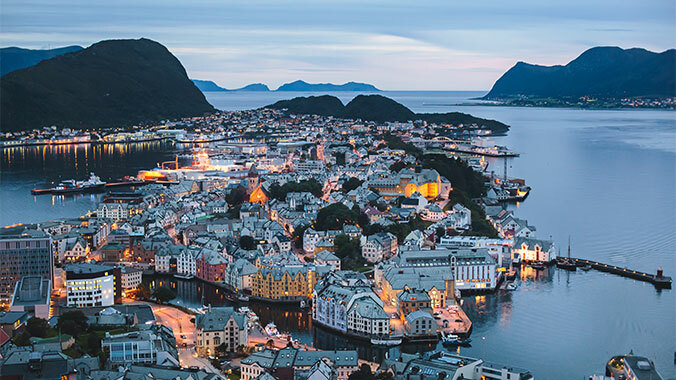 Though Iceland is not as hyped as its Nordic neighbors; Norway and Sweden, it has a lot to offer like a beautiful scenery and a wide range of recreational activities. For instance, it features a dramatic landscape with hot springs, volcanoes, lava fields and geysers. Hence, you are guaranteed to have an unforgettable adventure in Iceland as you explore its rich history and natural surroundings. 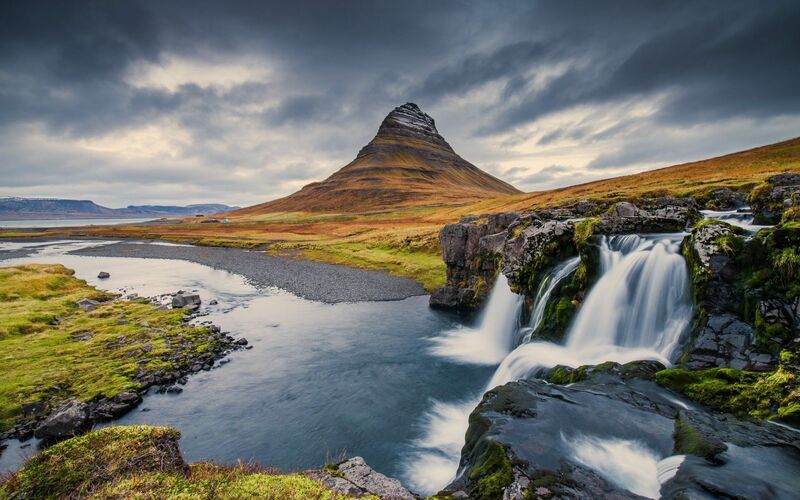 Seljalandsfoss is a waterfall in Iceland that is fed by melting water originating from the famous glacier. The 65 meters high waterfall offers a breathtaking view and you can take pictures behind it. Mount Maelifell is a volcanic cone that has solid lava and ashes. It is covered in grimmia that changes color as the soil humidity changes. Landmannalaugar features high geothermal activity that creates colorful landscapes ranging from greens, reds, oranges, browns and blacks. Indulge in whale watching tour at the Icelandic coastal waters. It is home to different species like; humpback whales, minke whales, fin whales and killer whales. Horseback riding tours that are guided by certified and highly-experienced horse riding instructors. Relax in the blue lagoon spa as you enjoy its soothing, warm water and its fascinating surrounding. Take pictures of Iceland’s rare scenery . Iceland’s real beauty is evident during winter months because it is trapped between white glittering snow and darkness. As such, its best frozen attractions like the glaciers are always accessible and open for visitors to explore, hike and indulge in their uniqueness. There are many things to do in Iceland and you must choose the activities you will enjoy. Sweden, officially referred to as the Kingdom of Sweden, is a beautiful Scandinavian country in northern Europe that is not only well known for it famous and rather controversial 6-hour work day, or its 1% waste achievement, but also for its beauty and splendor that is found all across the country. The beauty of Sweden is also reflected in the multiple cultures represented in the country. You cannot really run out of things to admire in Sweden, and what better way to immortalize the magnificence of the country than through various wallpapers. Whether the pictures are of beautiful and vibrant Stockholm, or the many stunning lakes, magnificent glaciated mountains and gorgeous forests, there is bound to be something for everyone to love. The landscape is just as rich as the culture, and it all comes together very well. The major Swedish cities are all coastal and part of the long alluring coastline. Stockholm is even built on 14 islands and it is all just breathtaking. Not only does Sweden boast of gorgeous landscapes, it is also filled with many beautiful buildings. From the sturdy and regal palaces to museums that are packed with rich history, it is all a magnificent affair. 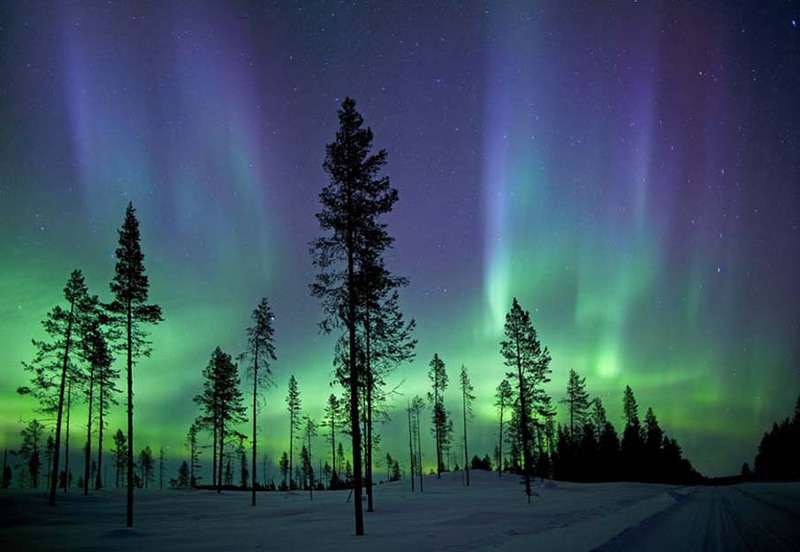 Sweden may be a relatively small country but it is big on history, culture and beauty. The country possesses a greatness that is tangible and there is just something majestic about it. You may not be able to visit all the places in Sweden, or to to take part in all the wonderful adventures the country has to offer, but you can get yourself a stunning wallpaper or picture that captures all this. When we talk of France we are quick to think of Paris with the Eiffel tower, the great Parisian cuisine with the freshly baked croissants offered in the quaint and charming cafés. We tend to forget that France is more than just Paris, and it is made of many more places that are just as fabulous as Paris. The riviera which is known in French as Côte d’Azur is the breathtaking coastline on the southeast of France. Paris is awesome but if you ever see a wallpaper of the riviera even before you get there, you will be captivated by the alluring azure water, the coastline itself and the various beautiful and elegant coastal cities like Cannes (yes, as in the place where the Cannes film festival is held), and Nice, which are all exclusive resorts. The beautiful colours of Paris may be beautiful, but the exquisite natural beauty of Loire Valley is just mesmerizing. The 280 km stretch of valley is dubbed the ‘garden of France’ for good reason as it is like a picture from a fairy tale. With one of the most outstanding rivers in all of Europe running through it, and the glorious castles, mansions, and landscapes, this valley is a gem. 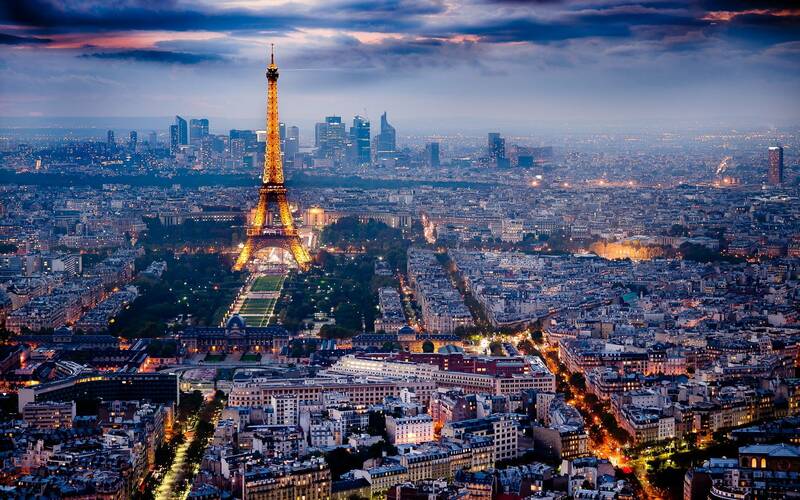 France is a beautiful country that boasts of many amazing features and landscapes. It is time to stop thinking of Paris every time we hear of France because there are so many other places to explore and recognize. The Palace of Versailles that is packed full of interesting history, the spectacular views in the Dordogne, the scenic views in Champagne-Ardenne which happens to be the birthplace of champagne, and many other gorgeous places. The list is quite long.